Journalist Anderson Cooper and his mom, Gloria Vanderbilt, explore her dramatic life story and resilience in NOTHING LEFT UNSAID. 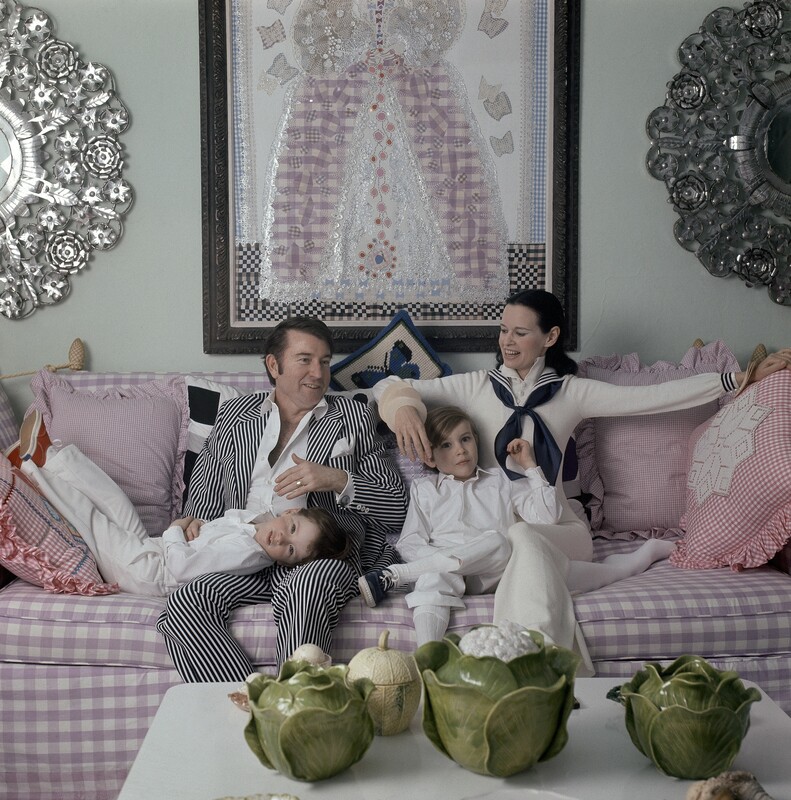 “I could always tell as a kid that there was this sadness to her,” says CNN anchor Anderson Cooper of his mom, Gloria Vanderbilt, in the fascinating and poignant new feature-length documentary, Nothing Left Unsaid: Gloria Vanderbilt & Anderson Cooper, produced and directed by Liz Garbus. “I always think of my mom as coming from a time and place that doesn’t exist anymore,” reflects Cooper in Nothing Left Unsaid. “She’s stranded here.” Cooper has spent his career reporting from the epicenters of war and nature-ravaged regions across the globe. This drive to bear witness to the human suffering that tragedy and personal loss incite seems to have begun at home. He admits to being in a constant state of anxiety over his mom’s well-being, even as she has managed to forge, against all odds, a viable life for herself. A public figure since childhood and muse of many legendary photographers, heiress and artist Gloria Vanderbilt has weathered high family drama and personal tragedies. Photo courtesy HBO. Their journey back in time, as mother and son, is propelled by Anderson’s obsession with his mother’s over-stuffed storage unit (yes, it houses her artwork and personal letters, but also, he chuckles, a lot of ephemera… including a box of Corn Flakes from the 1950’s!). The thought of cleaning it out has overwhelmed him for years. Still an exquisite beauty at 91 and passionately committed to creating and orchestrating the content and exhibition of her whimsical, autobiographical artwork, Gloria Vanderbilt has quite a story to tell. And she tells it with grace and the gentle assist of her son, who steers the conversation with questions of his own that need resolving. First and foremost, there are the emotional scars left by Gloria’s impossibly wealthy Vanderbilt, Whitney and Morgan forebears. 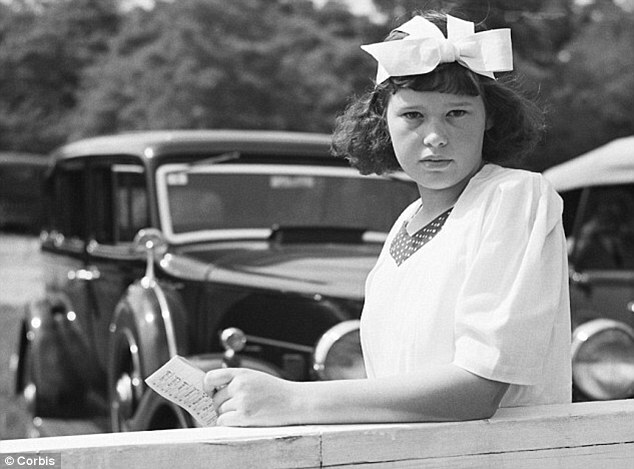 To this day, nine decades after her birth in 1924, she struggles with the fear of abandonment and lack of self-worth seeded by the early death of her father, Reginald Claypoole Vanderbilt, and the continent-hopping lifestyle of his teenage bride–Gloria’s mother, Gloria Morgan Vanderbilt–who was too immature and self-involved to be a mother for most of her life. The legendary custody battle fought over the “poor little rich girl” by Gloria’s grandmothers; her aunt, Gertrude Vanderbilt Whitney; and her biological mom, Gloria, was a major headline- grabber during the height of the Great Depression. When most Americans were standing in bread lines, little Gloria was shuttled back and forth between luxurious estates in New York and abroad by the warring women who wanted to possess and “protect” her. Despite living in the lap of luxury, Gloria feared that she would lose the only real mother she had ever known, her beloved nanny, DoDo. DoDo eventually became the collateral damage in the brutal custody battle. All the money in the world couldn’t buy Gloria a stable, traditional family life, the kind she saw in the movies and never stopped yearning for. Gloria’s youthful obsession with Hollywood led to a series of highly publicized liaisons with older men. There were affairs with Errol Flynn and Frank Sinatra; a teenage marriage to an abusive Hollywood agent; a whirlwind marriage at twenty to 63-year-old conductor Leopold Stokowski; and a short-lived marriage to film director Sidney Lumet But along the way, she hit her stride as a model, actress, artist, fashion entrepreneur and designer of signature jeans and married the love of her life, Wyatt Cooper. She had two sons by Stokowski (Leopold aka “Stan” and Christopher) and two by Cooper (Carter and Anderson). 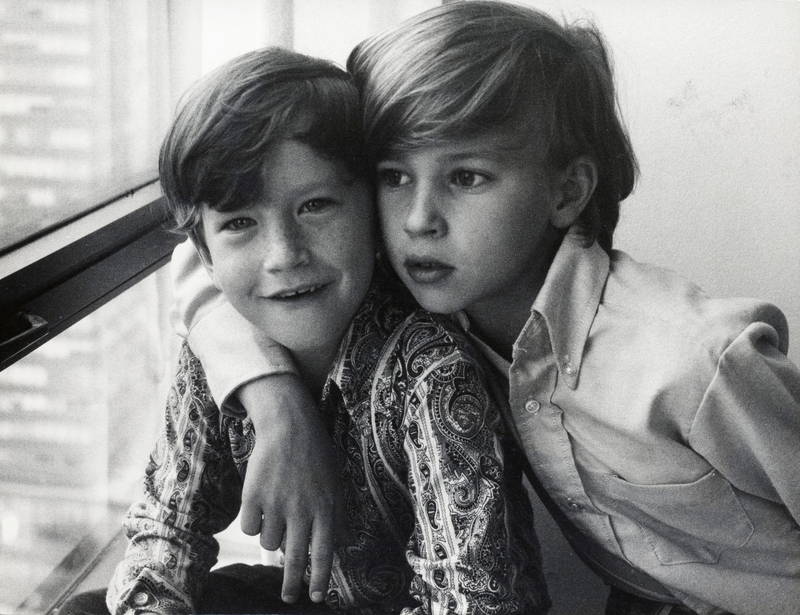 Anderson and Carter Cooper, circa 1974. Photo courtesy HBO. 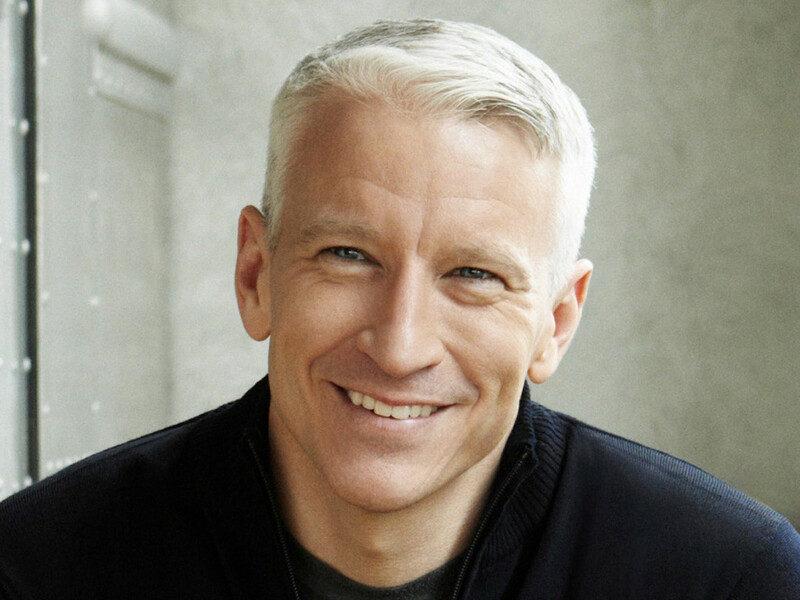 Especially pivotal in Anderson Cooper’s own journey were the untimely death of his dad, Wyatt Cooper, and the suicide of his older brother, Carter, at age 23. Mother and son travel the difficult emotional path leading up to and following these heartbreaking losses and close the film hand-in-hand at Wyatt and Carter’s snow-covered graves. Woven throughout Nothing Left Unsaid are exquisite color and black and white home movies, vintage news footage and clippings and family portraits enhanced by a lovely musical score. Gloria’s “magic boxes,” collages and drawings are cleverly animated at intervals, to better illustrate the family demons and happy endings she plays out endlessly in her artwork. Vintage clips of Gloria’s mom–from youthful bride at play in the Paris of Fitzgerald and Hemingway, to her reserved, late-in-life reconciliation with her daughter–keenly illustrate the mother-daughter drama that still haunts Gloria to this day. Gloria Vanderbilt Cooper relaxing with her family in her NYC apartment, in 1972. Photo: Jack Robinson/Vogue. Courtesy HBO. Nothing Left Unsaid is one of the most moving, psychologically smart and information-rich film bios I’ve seen of late. It’s definitely on par with my 2015 favorite: Listen To Me Marlon (reviewed in FrontRowCenter on 11/14/15). The moral of Gloria’s life story (and Marlon’s)–that fame and fortune don’t buy happiness–is obvious, of course. But, like Brando, Gloria’s ongoing creative attempts to work through the detritus of her childhood and surmount tragic losses are lessons we all, rich or poor, can learn from. This film enables Gloria, in her ninth decade, to revisit her damaged childhood with her own child, now middle-aged, and to bring herself, and especially her son, a good measure of clarity and peace. Going forward, the film will be an asset in programs in colleges, universities, community centers and churches dealing with troubled parent-child relationships, death & dying, and grieving, as well as museum programs focusing on women artists and designers. The premiere of Nothing Left Unsaid coincides with the publication of The Rainbow Comes and Goes: A Mother and Son on Life, Love, and Loss (HarperCollins, 2016), co-authored by Anderson Cooper and Gloria Vanderbilt. 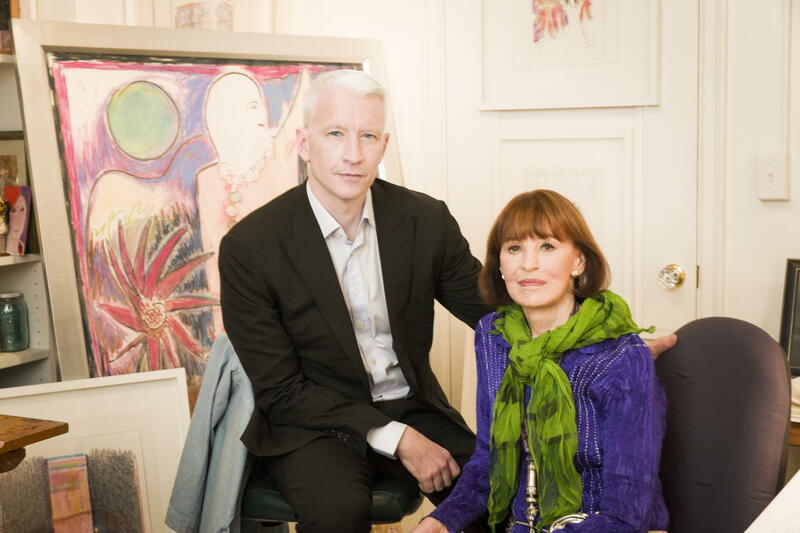 Anderson Cooper and his mom, Gloria Vanderbilt, as they appear in NOTHING LEFT UNSAID. Photo courtesy HBO. This entry was posted in Art, Cable, Fashion, Film and tagged Anderson Cooper, Art & Artists, CNN, Death & Dying, Family Relationships, Gloria Vanderbilt, Liz Garbus, Nothing Left Unsaid, Poor Little Rich Girl, The Rainbow Comes and Goes. Bookmark the permalink. Pingback: The Human Experience: Recent Documentaries | Films etc. We watched this last night, and loved it. It’s an amazing piece of work. 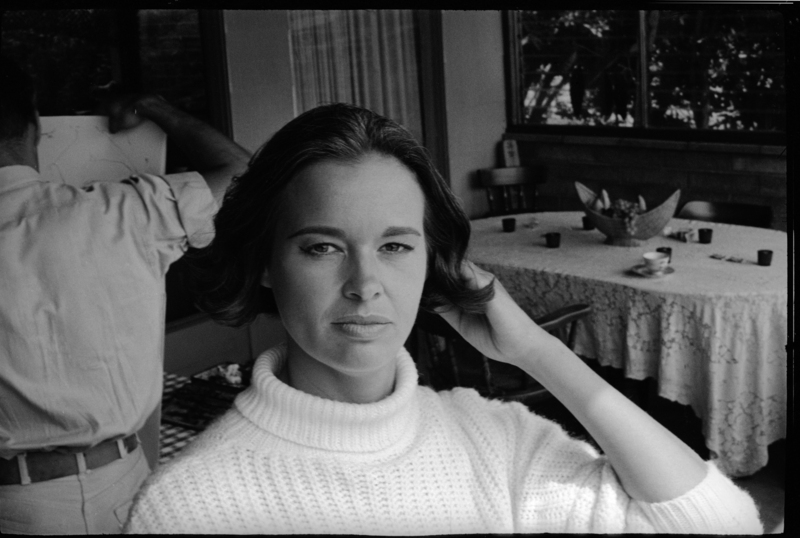 Gloria Vanderbilt — who I didn’t really know that much about beforehand — is such a fascinating subject, and the documentary is so well made. Liz Garbus is a terrific filmmaker. This film and her recent “What Happened, Miss Simone?” (Netflix) are proof of that. Your write-up gives a good sense of how special “Nothing Left Unsaid” is. Thanks! As always your review makes me want to see the documentary immediately! Also enjoyed the pictures u shared! Loved the article and your piece about the Vanderbilts. I do admire both Anderson and his mom.